It asks the panel to "initiate necessary effective action before the general elections"
A day after The Guardian reported Facebook’s lobbying practices against data privacy legislation in several countries, including India, a Centre for Account­ability and Systemic Change (CASC) has written to Parlia­ment’s standing committee on information technology (IT) to look at the lobbying activities of social media firms in India. The Guardian reported on Saturday about a “secretive global lobbying operation targeting hundreds of legislators and regulators in an attempt to procure influence across the world, including in the UK, US, Canada, India, Vietnam, Arge­ntina, Brazil, Malaysia and all 28 states of the EU”. These included efforts to change the European General Data Protection Regul­ation in favour of Facebook, using chief operating officer Sheryl Sandberg’s feminist book, Lean In, to bond with female Euro­pean commissioners and threatening to curb investment in countries unless they passed Facebook-friendly laws. “In view of (these) revelations, the parliamentary committee must enquire into the role of Indian bureaucracy and politicians. 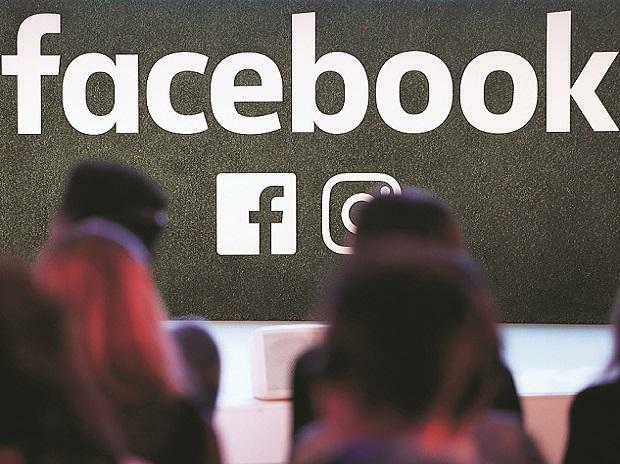 It may call for financial statements of social media companies of the last 10 years to estimate the turnover from Indian business operations, as well as the amount spent on lobbying to delay the data protection law,” the think tank has said in its letter, signed jointly by K N Govindacharya, former Rash­triya Swayamsevak Sangh ideologue, and the CASC through advocate Virag Gupta. Anurag Thakur, member of the Lok Sabha from Himachal Pradesh, is chairman of the committee. The letter is also marked to the Lok Sabha speaker, the Rajya Sabha chairman and members of the standing committee. Also to the cabinet secretary and the secretary of the ministry of electronics and IT. It asks the panel to “initiate necessary effective action before the general elections”. A query to Facebook regarding its lobbying effort in India was unanswered at the time of going to print. The letter says no data protection or privacy law has been passed in the seven years since 2012, when a group constituted by the erstwhile Planning Commission, and chaired by ex-chief justive A P Shah, had given a report in this regard. "In the past decade, many disclosures of data breach, including the Cambridge Analytica episode, have come to the knowledge of the central government. However, Facebook, Twitter, Google and all big internet and social media companies are continuing to send all data outside India. This is the root of the crisis by which social media companies are continuing to influence Indian elections for many years,” goes the letter. Last year, UK-based Cambridge Analytica's role in harvesting citizen Facebook profiles in the US and UK for the influencing of polls and the outcome of the British move to exit the EU came under fire in several countries. Lat July, the Indian government had asked the Central Bureau of Investigation to probe this misuse of Facebook user data. The parliamentary committee on IT has recently been in the news for asking global representatives of Twitter, Facebook, WhatsApp and Instagram to present their views on misuse of social media platforms and its impact on citizens. Twitter was represented by its global public policy head, Colin Crowell, at a meeting with the on February 25. Representatives of Facebook and its units, WhatsApp and Instagram, are due to appear before the committee on Wednesday. The meeting is expected to be attended by Ankhi Das, Facebook's director of public policy in South & Central Asia, and by WhatsApp's new India head, Abhijit Bose.